The 2015 season was an exciting one for us. 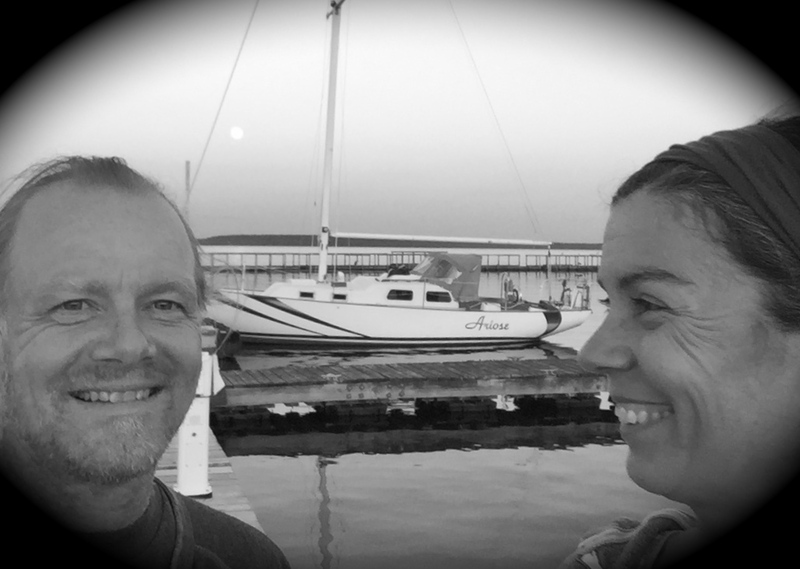 After a long year with Ariose being teased by a view of Lake Temiskaming beyond the fields while sitting on-the-hard, we finally craned her in and docked her at the Haileybury marina. We spent every moment we could on her – a total of 30 days & nights of moments! Usually we would meet Friday evenings for dinner aboard while we reconnected after our separate work weeks. We would then enjoy 2 days of exploring the lake and anchoring out. Sunday evenings inevitably arrived too quickly and we would reluctantly drag ourselves off the boat and back to real life. We packed in a lot of new sailing experiences, familiarized ourselves with Ariose’s quirks and learned about a few of our own. A good beginning. Newborn maple leaves in spring.